Graceful, lovely Lemongrass (Cymbopogon citratus) makes a delicious addition to tea, soups, and stir-fries. Further, this botanical wonder is also an excellent source of vitamins and minerals, can be used as a natural decorative screen, as a mosquito repellant, and produces a refreshing, calming, citrusy fragrance. 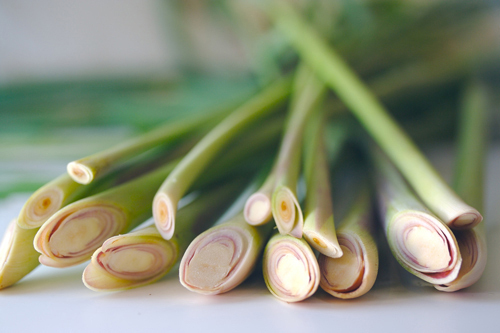 Although it may not always be available in your local supermarket, Lemongrass can be successfully grown and harvested in your own home garden, indoors or out. As a tropical perennial, Lemongrass will return its benefits, year after year. If you live in a very warm climate (Zones 10-12,) in which the temperature never drops below 40 degrees F, your Lemongrass can remain happily outdoors, year-round. For the rest of us, Lemongrass replanted each spring from seeds, cuttings, and starter plants, or grown in large, portable pots that can be moved inside when the temperature drops. If properly treated, it can live indoors, throughout the year, but will more successfully thrive if allowed to breathe fresh, outside air when warm enough. First, you need some baby plants. You can either propagate them from seeds or cuttings, or adopt some healthy Lemongrass Starter Plants – ready for nestling into your soil and looking for a good home. If planting seeds, sow them about ¼ inch deep and 1 inch apart in your soil, kept warm, and evenly moist, but not heavily wet. Taking about one to two weeks to germinate, it’s recommended you begin them indoors and transplant into their permanent home once they’ve reached about 6 inches tall and, if destined for outdoor living, when the outside temperature stays above 40 degrees F.
If you want to try your hand at growing them from cuttings, place Lemongrass stalks, bulb end down, into about 2 inches of water and watch for roots to grow. Be sure to change the water every couple days to prevent stagnation and possible rot. Once the roots have grown about one to two inches (about two to three weeks,) the plant is ready to transfer to your warm garden or large pot. Keep in mind, the cell structure of water roots is different from that of soil roots, so it’s imperative to keep the soil generously moist in the early days of transplanting. You can even cover the plant with a plastic bag to seal in the humidity. Another method, is to daily add soil to the water to allow the roots to transition in cell structure. Whether growing from seeds or cuttings, hold off on adding fertilizer until the plants are actively growing in their permanent home. Once you’ve propagated or purchased your starter plants, transplant them to a sunny section of your garden, setting them about 24 inches apart into fertile, well-drained soil, or singly into prepared 5-gallon pots. If planted in a desert environment, however, some filtered afternoon shade is beneficial. Lemongrass does not tolerate heavy, wet soil, but must stay evenly moist, never allowing the soil to completely dry out and, for you desert-dwellers, appreciating a heavy misting in the mornings. Your Lemongrass will benefit if regularly fed a nitrogen-based fertilizer. Alternatively, plants can be grown in beds of composted soil into which you routinely add organic material. As always, mulching will retard weed growth while maintaining moisture. Keep in mind, however, potted plants will always need supplemental feeding. In ideal conditions, Lemongrass will reach 3 to 6-feet tall (in the shorter range for potted plants) and serve double-duty as a decorative ornamental grass. Plants form a rhizome, or bulb, but do not aggressively spread, so normal harvesting and occasional cutting back of the longest top growth will satisfy the more formal gardener. The success of growing Lemongrass indoors, depends upon replicating healthy outdoor conditions as much as possible. Among other things, that means planting them in fertile, well-drained potting soil in which you regularly feed them with a Nitrogen-Rich Fertilizer or the addition of Earthworm Castings. This is especially important since potted plants quickly deplete their nutrients and depend upon the gardener for continued sustenance. Size matters, so to help your Lemongrass plants reach their greatest indoor growth potential, plant them in 5-gallon pots, approximately 12 inches in diameter. You can, however, grow more petite plants by placing them in smaller pots and harvesting more often by carefully removing the stalks, bulb and all, along the outside of the plant. Ensure your potted plants bask in the sun as much as possible by placing them in unobstructed sunlight, preferably near a south/south-western facing window. 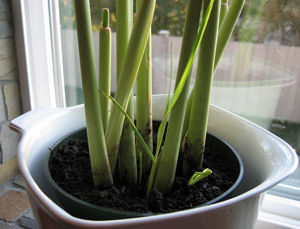 And, just like their outdoor cousins, your indoor Lemongrass plants must have soil kept diligently moist. The smaller the pot, the quicker they can dry out. If you have to be away for awhile and don’t have a plant-sitter, a product with water saving crystals can help maintain moisture longer. Once your plants are about a foot tall, you can begin to reap the culinary benefits of their lovely foliage. Just snip with sharp scissors or garden shears (ahhh, inhale that lemony fragrance!) and use the leaves for flavoring teas and soups. If you cut more than you currently need, dry the extra leaves and store for later use. (Check the Internet for various drying methods.) The outer leaves are sometimes tough, but even those can be used by bruising them, adding them to your recipe for flavor, then scooping them out before serving, much like you would bay leaves. When harvesting the stalk for recipes, use a sharp blade and cut as close to the soil as possible. It’s the soft, inner part of the stalk closest to the base that is most often utilized. Stalks can be kept in the fridge for several days by keeping them in a plastic bag with a damp paper towel. 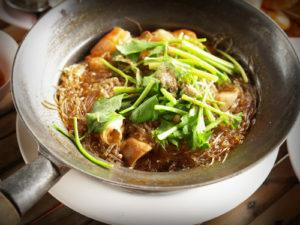 You can also chop pieces of the stalks and freeze them for later use. The Internet is a great source of recipes for all parts of this aromatic, edible plant. Lemongrass is often used in Asian dishes, but also in other delightfully surprising ones such as ice cream and smoothies! Cats LOVE nibbling on Lemongrass and enjoy its catnip-like qualities. This is fine for the cat, in moderation, but not so much for the plant. If you have further questions about growing Lemongrass, or any other gardening questions, you are welcome to ask our online Master Gardener, a service that is completely free and always helpful. Hello, I’m looking for information on how to grow lemongrass here in South Carolina. I can also grow it indoors, if it will grow there. I’ve got the space. But where do I locate the lemongrass seeds? Thanks, J.P.I. J.P., you can grow lemongrass outdoors and according to your Zip Code you are in Hardiness Zone 8a, which means it should most likely remain as a perennial plant, although if you have the threat of a severe winter you might want to protect it with some extra mulch around the root system, or dig it up and bring inside. If you want to grow it indoors it would need a sunny and warm location away from drafts and heating/air conditioning vents. Soil and water conditions would be the same as outside. Lemongrass prefers full sun and some room. A mature plant can reach 6 feet in height and be up to 40 inches wide. It wants a well-drained, loamy soil, so make sure you don’t have heavy clay, or that water does not stand in the area you’re planting. If you can check the pH it should range between 5.1 and 8.5. It doesn’t like to dry out, either, so it will need to receive even moisture throughout the summer growing season. You could also grow it in a pot, which would keep it at a slightly smaller size. We do not carry the seeds but we do sell the East Indian Lemongrass (cymbopogon flexuosus) variety plant on our website. They are beautiful, healthy starts that will get you harvesting sooner. I have a lemongrass plant that is full grown and has seed. I am trying to figure out what I can do with the seeds, how to dry them and prepare for seed or tea. Do you have any recommendations or videos? Saving the seed from lemongrass would be like saving any other seed. Make sure it has matured and then save it in a cool, dry location. While it can be sown from seed, it is usually easier and more successfully propagated from cuttings or culms that are sold in a grocery store. Seed germination is a bit erratic and it require sowing in early spring in small pots and in a 55-65 degree temperature range. You would use the long leaves to make tea, sorbets or infusions for bathing. The peeled, lower stem is the portion you use for cooking. i live in zone 6 and would love to have lemon grass in pots on my patio..would i be able to cut them down in fall and leave them outside like i do other ornamental grasses. will they return the next year on their own? Hello Joanne. Lemon Grass would not survive the winter in zone 6. However you could bring it inside for the winter and replant it each spring. You would have to live in zone 8 for it to come back in the spring. Happy gardening! Well, I planted Lemongrass last year and they were died this Winter. I am in South Carolina, Zone 7. If I moved them inside in Winter, what should I do with them? How to storage it? Please advise? Thank you! Lemongrass is only hardy to Zone 9, so if you are in a Zone 7 area of South Carolina you will need to bring the plant indoors in the winter. You could try growing it in a container so you can easily move it indoors as temps drop, or dig and pot up before the first frost. Lemongrass needs full sun, up to 6 hours of sun per day, and it should be fertilized every month with a general purpose, higher nitrogen fertilizer. 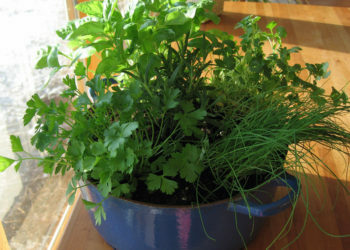 If you grow it in a pot, use a well-drained potting mix. If you plant outdoors in the summer and it becomes too large, try taking cuttings late summer to bring inside for next year’s outdoor plantings. Hello Karen! I am wondering how long it would take lemongrass seeds to grown as we are now in June. We live in New York and have a rooftop with plenty of sunshine. If I plant seeds, how many should I plant and how long would it take to grow? If I wanted to buy a small 4” plant that is already on its way, can you point me in the right direction to a product? Thank you!! Will, starting the seeds indoors, use a 2-3 inch layer of seed soil, or equal parts coarse sand, peat and compost. Plant seeds approximately 1 inch apart and 1/4-inch deep. Cover the seeds with thin layer of compost or vermiculite and gently dampen the soil. Cover the seed tray with provided cover or clear plastic wrap and place in warm location, 70 to 75 degrees until sproutednot in the sun. Once sprouted, remove the plastic wrap and place in full sun until the sprouts become stable seedlings, usually in two to four weeks. 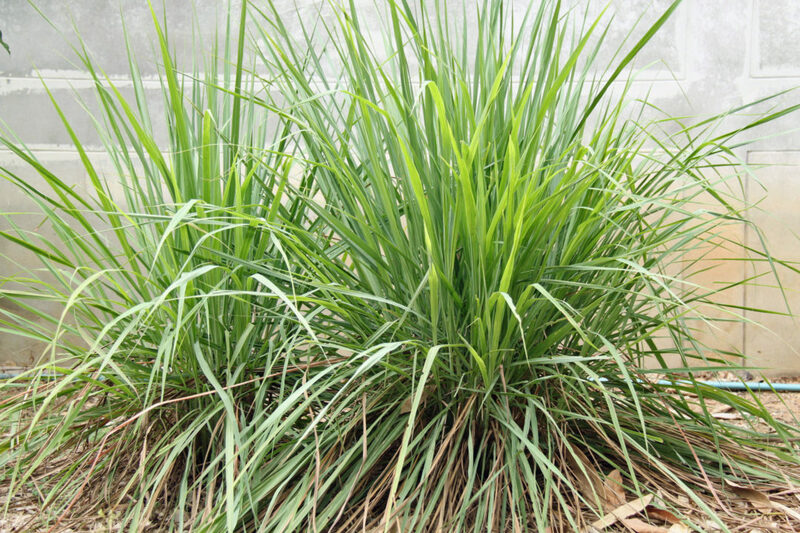 If you want to get a head start with growing the lemongrass, we have plants available for sale here, http://www.gardenharvestsupply.com/productcart/pc/lemon-grass-herb-plant-p804.htm. Enjoy your fragrant new herb! I live in coastal Alabama. I’ve been growing lemongrass for years. I bought 4 or 5 stalks at an Asian market for $1 and they’ve been the best plant investment ever! My original plant had grown huge. I thought the unusual harsh cold snap we had last year reduced had killed it. I was getting ready to throw it out, but the pot was so large and heavy I never got around to it. Glad I didn’t! It started regrowing and now the leaves are over 3 feet tall and it’s a beauty! Lemongrass is only hardy to Zone 9, so you would not be able to leave it outside over the winter. It will freeze and die. If you plant it in a pot, you can bring it indoors and place it in front of a sunny, draft-free window and overwinter it, or let it die and buy a new plant in the spring. Hi, I live in zone 8b. Is there any way that I can get my lemon grass to live outside during the winter? I hear that lemon grass is fine in zone 8 but I also hear that it only grows in zone 9? Its very confusing. Hello Quid. Lemongrass is hardy down to zone 8, so with some good mulching, your plant should be just fine. will lemongrass grow well in West Virginia, eastern panhandle? Hi, I live in Oklahoma. I’m using the lemon grass to help with Mosquitos. How do I help it bush out more to make it prettier and how do I harvest the stalks to make lemon grass? I live in central Florida and have two lemongrass plants that have gotten HUGE! Probably 15+ feet tall and happy. One I trimmed down to about 5′ and it is back and taller than ever. From what I’ve read, they typically only grow to 6′. Suggestions? I don’t want the plants taller than my house! How often can I trim back? Thanks so much! I have a spot that get morning to noon sun on the East side of my house, will that be a good place to plant my lemon grass or do I need to find a spot that gets more sun? My zip is 77437. Hi! I am looking at planting Lemongrass in containers, more for ornamental purposes, and placing them on my front lawn patio about 10′ away from the house. My house faces north and my zip is 92563. Any suggestions and tips? When and how do I prune so that it stays somewhat neat? Thanks! Can I plant lemongrass outside in zone 5 in late April? I live in Palm Beach County, Florida (33405), and I cannot get my lemongrass plants to flourish. They are in containers and get direct eastern sunlight from around 8am until around 1pm. I water them when the soil becomes dry. Still, however, They have not grown and tend to develop dry, dead leaves. GHF, since lemongrass wants full sun, it might be that the morning sun is not bright enough for them. And, they probably need some fertilizer. You might try moving them to a place where they can get six to eight hours of midday sun, generally a southern exposure. They should grow very well outside. As long as they are in a well-drained soil and draining pot, it's OK to water them more frequently. Don't let them get fully dry between waterings. Since you are in a warmer climate, it wouldn't hurt to give them some water daily during the summer months. 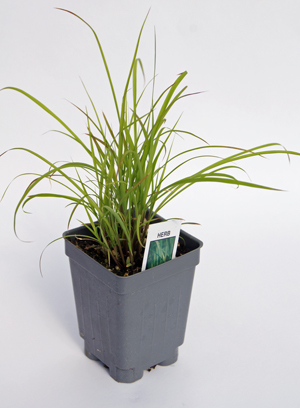 During the summer you need to feed lemongrass weekly with a water-soluble, high-nitrogen fertilizer. The rest of the year, a monthly feeding will suffice. Also make sure they are in a large enough pot, something close to a 16-inch diameter per plant. In the winter make sure they’re in a south-facing window to receive as much light as possible. Also watch for spider mites, one of lemongrass’s only pests. If you spot them, you will notice pale specks on the leaves. Give the plant a nice bath with a dilute dish soap (not the antibacterial kind) like basic Dawn, and a good blast with the hose. I hope this helps and that you get a great crop of lemongrass. Cory, lemongrass will not survive your winters in North Dakota. You will either have to dig them up or start with fresh plants in the spring. Happy gardening! I live in New Orleans (zone 9?) and have a lemongrass plant growing in my backyard. It was planted last July and is now 5-6ft tall. I do absolutely nothing to it. It gets sun from the east and south, and is shaded from the western sun exposure. I ripped out my lawn a few years ago, and the plants I planted are suffering in the intense heat we have this summer. Since the lemongrass is doing so well in the backyard I would like to dig up my current plants and grow lemon grass. If I do that, the lemongrass would be in FULL burning hot sun all day, with no shade at all. I’ve read that they love full sun, but would that be too much? Physical and financial limitations would make this an ideal plant for that area. I LOVE it and would plant it everywhere if I could! I also read that it repels snakes, and i believe it because there are snakes in the woods nearby but I have never seen one in the area of my yard where my lemongrass is growing. Thanks in advance!! Ceejay, congrats on your growing lemongrass plants! You have read correctly, lemongrass loves the heat. You just don’t want them to dry out, so make sure they have a source of moisture. Here is more reading info on growing these plants; growing lemongrass in the south. I have two lemongrass plants and would like to plant them in the ground. They are growing fine on the patio and winter is coming. We live in Minnesota south of the Twin Cities and 55122 zip. can I plant them and maybe trim them down some? Ida, lemongrass will not survive outside in your area. You will have to bring them inside or start with new plants in the spring. I bought a 4″ pot of a clump of lemongrass. Seems like there are about 50 tiny 8″ seedlings (?) in this clump. Is this correct? Should I separate them? Leave them? I’m growing them indoors for now (zone 5). Thanks. I live in Yuma,Arizona. Could I plant Lemon Grass on South side of my house? How would it do during the hot summer? My lemongrass plants were inside for the winter in Zone 6B. They are dried and brown even though I watered them. Will they come back or should I throw them in the trash? Carol, they should be thrown away.